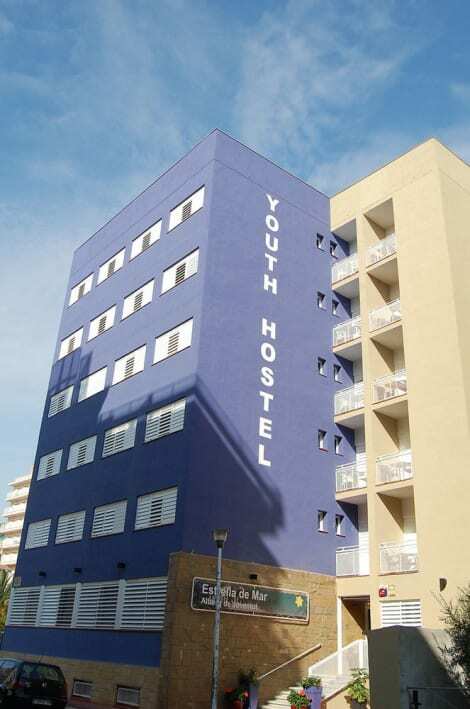 HTOP Amaika, 4 star superior hotel, is located few minutes walk from the golden sandy beach of quiet residential area of Calella. It is an ideal place for couples looking for a romantic getaway. The hotel is Adults Only. Couples particularly loves this location, as it is very close to the city center and close to the beach. Hotel offers free WiFi, balconies and TVs with satellite channels. Minibars, room service (during limited hours) and hair dryers are among the other amenities available to guests. As well, hotel feature a great outdoor swimming pool, and 24/7 front-desk service. Other amenities include a poolside bar, a sauna and self parking. Some rates at HTOP Amaika include Silver or Gold Boards and All Inclusive. These rates include on-site meals and beverages, and may include taxes and gratuities. Additional charges may apply for meals at some restaurants, special dinners and dishes, certain beverages and other amenities. Limited on-site parking is available on a first-come, first-served basis (surcharge). H·TOP Amaika - Adults Only is a smoke-free property. In case you choose All Inclusive, Silver Board or Gold Board during your stay, the service starts and ends at 12PM at check in and check out. HTop Calella Palace & SPA is a perfect family hotel located in the residential area of Calella. It is just few metres away from the beach, and to shops, city center and restaurants. The property offers offers indoor and outdoor swimming pools, a whirlpool and a rooftop sun terrace. In addition HTOP Calella Palace & SPA provides a sauna and a kid's pool. Rooms at are bright and air-conditioned, with a balcony and satellite TV. All have a private bathroom with a hairdryer. All the rooms have amazing views, some to the town, others to the sea. 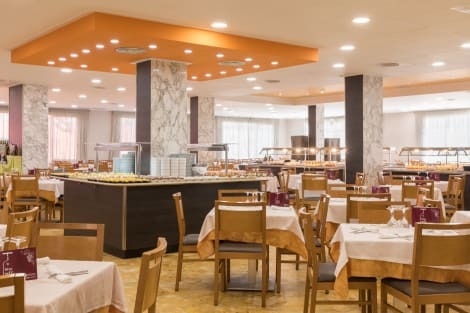 Hotel´s restaurant serves local and international dishes and it is buffet. For all inclusive guests, there is a special buffet between meal time. As well, guests with Silver or Gold board, have special facilities. Htop Calella is a great place for families with kids. There is a special kids club that arranges daytime activities and sports for little ones. Live music and shows each evening. Parking is availbale on-site at a surcharge. HTOP Olympic is a 3-star property set at 300m from Calella Beach, in the quiet area of Calella, in Costa Barcelona. It is an ideal choice for young couples or groups looking for a centric hotel with a lively and friendly atmosphere and a good standard of accommodation. H TOP Olympic has 3 outdoor pools for adults and children. All air-conditioned rooms feature a private balcony or terrace, and satellite TV. It provides a free activity programme for children up to 12 years old, available 6 days a week. There is also a small children’s pool and a playground. Some rates at H·TOP Olympic are all-inclusive. These rates include on-site meals and beverages, and may include taxes and gratuities. Additional charges may apply for meals at some restaurants, special dinners and dishes, certain beverages and other amenities. In case you choose All Inclusive, Silver Board or Gold Board during your stay, the service starts and ends at 12PM at check in and check out. For a surcharge, a round-trip airport shuttle (available 24 hours) is offered to guests. Make yourself at home in one of the 85 guestrooms. Complimentary wired Internet access is available to keep you connected. Private bathrooms with shower/tub combinations feature deep soaking bathtubs and complimentary toiletries. Conveniences include safes and desks, and housekeeping is provided on a limited basis. Take in the views from a terrace and a garden and make use of amenities such as complimentary wireless Internet access. Additional amenities at this hostel include an arcade/game room, tour/ticket assistance, and a vending machine. At Hotel Bon Repos, enjoy a satisfying meal at the restaurant. Unwind at the end of the day with a drink at the bar/lounge or the poolside bar. Buffet breakfasts are available for a fee. Make yourself at home in one of the 109 air-conditioned guestrooms. Complimentary wireless Internet access keeps you connected, and satellite programming is available for your entertainment. Bathrooms have shower/tub combinations and hair dryers. Conveniences include safes and desks. When you stay at Hotel Internacional in Calella, you'll be next to a golf course, within a 15-minute drive of Calella Beach and Santa Susanna Beach. 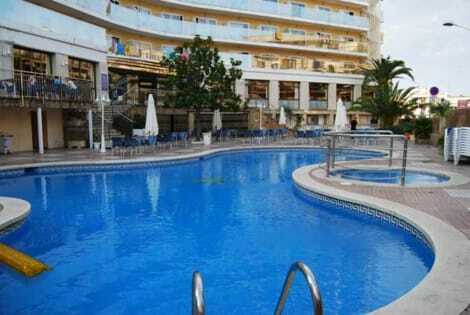 This golf hotel is 11.9 mi (19.1 km) from Fenals Beach and 12.8 mi (20.7 km) from Lloret de Mar Beach. Hotel Vila De Calella Welcome to the 3x000D star rated Hotel Vila De Calella in Calella De Palafurgell. The hotel offers restaurant facilities. Room Facilities Hotel Vila De Calella. There is a no smoking policy throughout the hotel. Leisure Info. 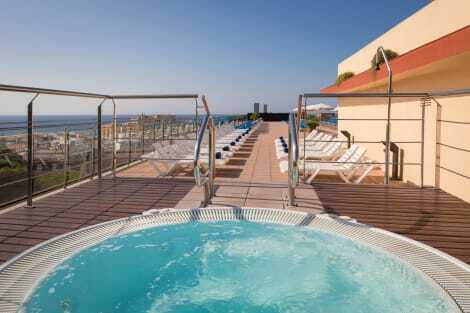 The Hotel Vila De Calella offers a range of leisure facilities. The hotel has an outdoor swimming pool. Other Info. An airport shuttle service is available from the hotel. Pet owners and their well behaved pets are welcome at the hotel. Hotel guests can make use of the concierge service that is provided. lastminute.com has a fantastic range of hotels in Calella, with everything from cheap hotels to luxurious five star accommodation available. We like to live up to our last minute name so remember you can book any one of our excellent Calella hotels up until midnight and stay the same night.